Become an investor with just $5 and learn as you go. Password must be 8 characters, at least 1 uppercase, 1 lowercase and 1 number. 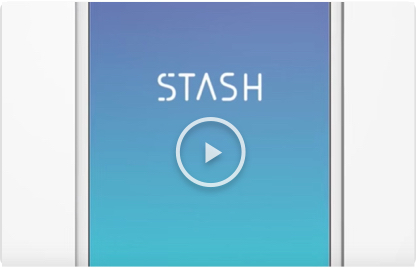 Watch a demo of how you can start investing on Stash. Start investing with as little as $5. Set a recurring investment schedule to grow your Stash over time. Choose from 30+ investment themes that reflect your unique interests, beliefs, and goals. Learn to invest with confidence. We’ve created a customized learning experience to help you along the way. Accounts over $5,000 pay 0.25%/year. That’s $12.50/year on a $5,000 account.